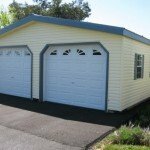 Building a new garage? Let Michigan Timber and Truss do “the heavy lifting for you” with a pre-fabricated building that you can assemble on your own foundation. We’ll build the trusses, and wall panels and deliver directly to your site for you and your buddies to assemble in about one weekend. Our Designers will assist with any project you might dream up. 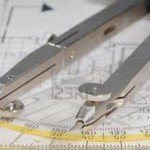 We can help you plan it out, draw it up, make adjustments or alterations, and see it through to completion using our products. Our Rail Reload Services will save you big money on large jobs. A unique advantage of Michigan Timber and Truss is that we are located on the Canadian National Rail Road line. Michigan Timber and Truss was selected to provide trusses for the Extreme Makeover Home Edition project for the Gilliam family in Armada, Michigan in 2006. 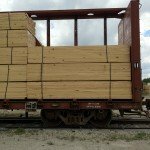 Rail siding on site allows Michigan Timber to take advantage of carload pricing. This allows Michigan Timber to be the low cost producer, provding significant savings for our customers.